The Evangelista Orthopedic Clinic (EOC) pledges to provide you with the highest quality of orthopedic care available. Our goal is to return you to your normal routine as soon as possible. 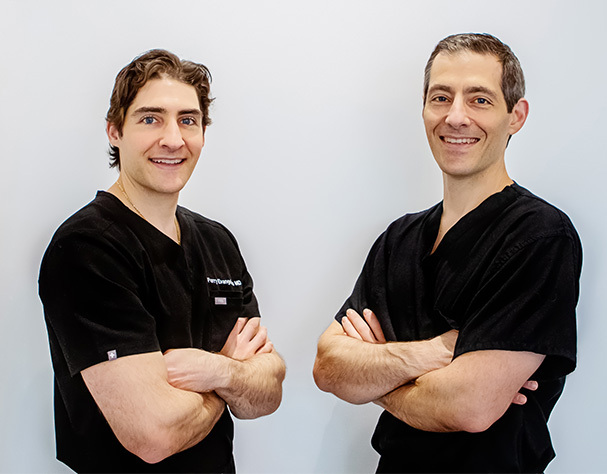 Dr. Evangelista's extensive experience and demonstrated performance across common procedures as well as very complicated bone, tendon and ligament reconstructions makes him uniquely qualified to provide you with the best outcome possible. We treat immediate and chronic problems by developing a customized and comprehensive treatment plan for each patient. We are Board Certified and experts in the treatment of the shoulder and knee. This includes arthroscopy, anterior cruciate ligament reconstruction, meniscus tears, rotator cuff tears, and shoulder replacement. We are committed to making your treatment experience a very positive one. To this end, we utilize the latest advances in sports medicine, biologics, pain management, minimally invasive procedures, computer assisted surgery, and tissue sparing approaches. Dr. Evangelista is pleased to welcome you to his practice. His objective is to make you as comfortable as possible by listening to you, providing you with a clear understanding of your options and treating you with sensitivity and compassion. If you have any questions, always feel free to contact our office. Our team will assist you in any way possible.